More things to get done tonight. 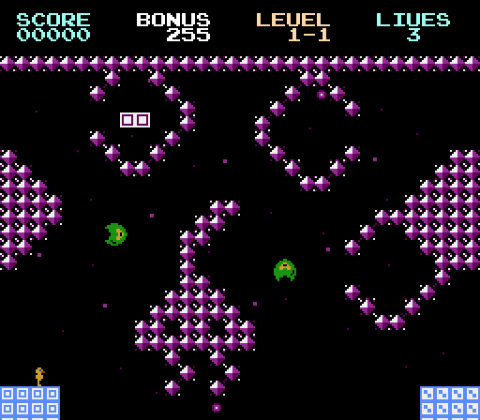 A solid nights coding, keeping track of the landed platforms, and there's now a proper level end condition. Feels good yo! Tomorrow - scoring, possibly some indicator of invincibility and...errr other stuff? Found some time to code flap happy today again, and, make a handy video to show the changes made. I really like what you have done here! A nice original game that really stands out from the usual glut of platformers. If you were interested in getting this professionally published by Epyx I would love to speak more with you. I'm more than happy to be coding games with the team at Mega Cat Studios however. That's cool. Been speaking with them for the last few days and hopefully we are going to be working on some projects together. Now, time to flap through egypt! Just a teaser pic, showing what I'll be aiming to get things to look like for this next set of levels. Starting to get somewhere with the egypt levels tonight. That and generating some fairly rough sound effects in code, adding the important invisibility flicker and. well, mostly playing the game inbetween all that. Had a lil playtesting sesh before work with some workmate this morning they all agreed that it seemed fun but way too tough. 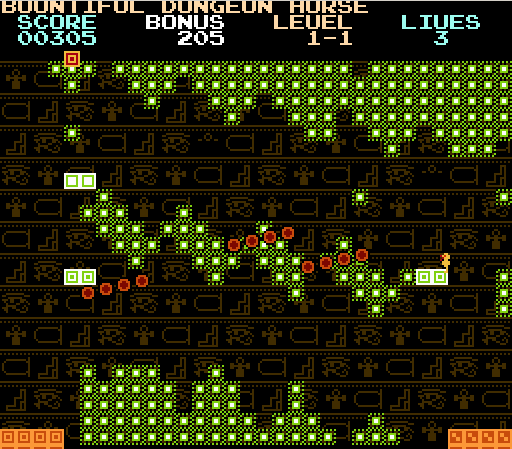 Which is pretty much what I was expecting regarding difficulty. I'm not selecting levels from a batch or anything yet. Should be easy enough to do though when the time comes. 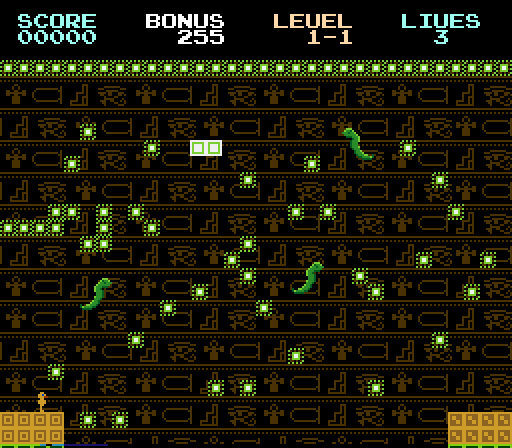 Got some much nicer egypt levels being generated now. they are a tad on the tough side but that can be balanced out with rng control. Here's a lil gif of it. The importance of flashing platforms is underrated at best. Still gotta add those snakes! Aaand boshed out a mock-up for the space levels with some sprites from an old unreleased mobile game that I'll probably port to NES after this game's finished. Apologies for the lack of updates been pretty under the weather of late should be back onto things this weekend again though! Still struggling to carry on over here which is fairly frustrating, gonna write up a checklit for tomorrow and hope to achieve something on there!